When it comes to Vertical Plunger Type Injection Moulding Machine, then our name is ranked among foremost Manufacturers and Suppliers in the market. 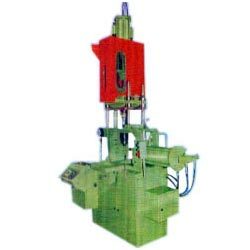 Sturdy stable design powerful hydraulic operated toggle clamp die clamping direct cylinder High quality electric and hydraulic controls screw speed variable by hydraulic operated toggle clamp die clamping direct cylinder high quality electric and hydraulic controls screw speed variable by hydraulic pump all hydraulic pump all hydraulic components of standard quality are used for long life and trouble free operation fast and smooth cycles of operation. 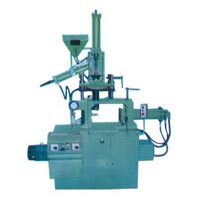 The machine is suitable for producers: automobile and engineering components Electronic and Electrical Components, Textile mills components, containers, small toys, Cosmetic and toilet Articles, fountain and ball-pen and components for washing machine, grinders, pumps and various other domestic products.